Peter Johnson escaped from corporate life after the sad death of his wife and a major health issue made him realise something had to change. In spite of attending FOUR business schools, Peter knew nothing about working freelance or building a solopreneur business, but he applied his own common sense, fell on his feet and made a great success of it all creating a much less stressed and meaningful life for himself. 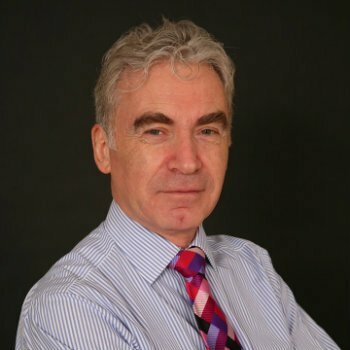 Peter Johnson specialises in developing high performing individuals, teams and organisations. He has worked in the private, public, not for profit and corporate sectors rising to Finance Director level before promotion to a high-level general manager role, prior to leaving corporate life by choice. His wealth of experience is underpinned by achievements in a career that has spanned accountancy, HR, consultancy, operations, project management, sales and general management. He has respected ability as a leader and a specialist. Over a varied freelance career, he has created a considerable portfolio of pragmatic business tools, and is the author of a growing range of business publications. His clients range from small business to large global brand names. He has gained a solid reputation for understanding client’s needs and delivering high quality, forward-thinking, workable approaches to rapidly improve performance. He is an alumnus of two top international business schools with a range of other qualifications to support his experience. A finalist ‘Director of The Year’ two years running. An award winning Insights Discovery Licensed Practitioner, Mentor and world’s first Deeper Discovery Accredited Practitioner. Plus, someone who continues investing heavily in their own development to ensure that the thoughts of yesterday are not delivered into the world of today. Peter is a very experienced coach, mentor, facilitator, trainer, consultant and speaker working particularly well with managers and executives and continues to have a firm belief that everyone has unfathomed potential that just needs the right material, the right moment and the right help to unleash. Whilst his focus has always been on business he has also held voluntary roles of Chairman/Trustee/Treasurer/Secretary for organisations in the not for profit sector, and continues to do so.